Alan Kelly has been named the MLS Referee of the Year for 2016, while Frank Anderson is the Assistant Referee of the Year. 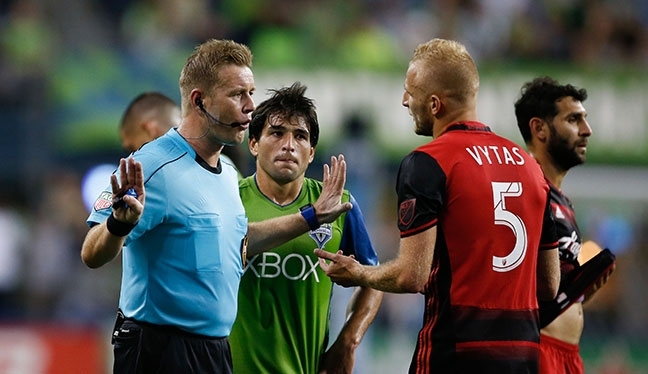 Kelly, who collects the award for the second successive year, has refereed 23 regular season MLS games in 2016 and also made his MLS Cup Playoffs debut in the Knockout Round. On average, he received 62.93% of the votes, ahead of his PRO colleagues Jair Marrufo (22.03%) and Baldomero Toledo (15.05%). Anderson has been named the Assistant Referee of the Year in what is his 11th season as an MLS official. A FIFA AR since 2012, Anderson has ran the line in 23 MLS games this year and also took the flag for the 2016 MLS All-Star game. He came out on top of the votes ahead of his twin brother Ian, and fellow FIFA assistant referee Eric Boria. Peter Walton, PRO General Manager, said: “This award is testimony of the individual performances officiating in Major League Soccer.